Moscow has hailed the results the Russia-EU summit last week as positive, namely the signing of agreements concerning a cross-border cooperation program, said Russian Foreign Ministry spokesman Andrey Nesterenko. During a weekly briefing he also touched upon several forthcoming international meetings, including the Russia-NATO Council and the OSCE Foreign Ministers Council in December. RT presents the transcript of the briefing. We regard the Russia-EU summit, which took place on November 18 in Stockholm, as very eventful, and we highly evaluate its results. The parties reaffirmed their commitment to further enhancing the Russia-EU summit and laid down a course toward partnership for modernization. Russia and the European Union clearly defined their list of priorities: prompt signing of a new Russia-EU framework agreement, qualitative advancement of the visa-free dialogue, and development of joint economic projects, including those in the sphere of energy and energy security. Significant attention was paid to coordinating efforts on the climate change problem on the threshold of the conference in Copenhagen. To name some specific results of the work, five agreements were signed during the summit regarding the financing of Russia-EU cross-border cooperation program. This will allow launching the implementation of many joint projects. The parties announced a readiness to resume work on achieving a Russia-EU agreement on crisis settlement. The summit was also a milestone because this year sees two anniversaries: the 20th anniversary of the first bilateral agreement between the Soviet Union and the European Economic Society, and 20 years since the fall of the Berlin Wall. 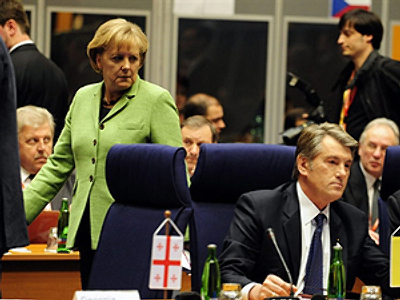 Besides, this is the last Russia-EU summit in the pre-Lisbon period of EU development. On November 20 of this year, Yalta, Crimea, hosted a regular meeting of the CIS Council of Heads of State (CHS). The Russian delegation was led by Chairman Vladimir Putin of the Government of the Russian Federation. There were 25 issues on the agenda, which embraced a broad spectrum of important issues pertaining to the Commonwealth’s activities in the economic and humanitarian spheres. The meeting put the emphasis on anti-crisis objectives. It heard a report on this theme delivered by Deputy Chairman of the Russian Federation Government and Finance Minister A.L. Kudrin. In keeping with a CHS instruction, the meeting considered and approved a Plan for Implementing CIS Joint Measures to Overcome the Consequences of the World Financial and Economic Crisis for the 2009-2010 period. Considering the fact that cooperation in the energy sphere was named the key sphere of interaction among the Commonwealth member states, the result of the session's work was the ratification of the Concept of Cooperation of CIS member states in the energy sphere. The task set is to increase the efficiency of energy production and consumption, reliability of energy supplies, and environmental security of consumers in a market economy. Also in the plans is migration from bilateral agreements to multilateral ones, and implementation and financing of joint energy programs. The parties signed a number of cooperation agreements in various spheres. On the threshold of 2010, which the CIS has declared the “Year of Science and Innovations,” the meeting approved main guidelines for CIS long-term cooperation in the innovation sphere. The main aim is to have the Commonwealth economies transit from their predominantly raw-material systems to ones based on innovation and high technologies. Thereby it is intended to secure competitiveness and steadiness of development in the face of modern challenges. The main guidelines should serve as a conceptual basis for the upcoming work to draw up an interstate targeted program for CIS innovation cooperation through 2020. It was also decided to form, on the basis of the existing structures, an Interstate Council for Cooperation in Scientific-Technical and Innovation Spheres. Resolutions were also signed on a program of joint action by the CIS states in the fight against HIV/AIDS, which is aimed at a further improvement of CIS cooperation in countering this terrible disease. A number of international agreements were ratified during the Yalta meeting. The meeting considered a number of issues of organizational and financial nature. It was decided to hold the Council’s next meeting in Moscow on May 21, 2010. To sum up, let me emphasize that the meeting of the CIS Council of Heads of State demonstrated the efficiency of this format and our interest in the development and strengthening of cooperation in the Commonwealth of Independent States. On November 27, 2009, Minsk will host a regular meeting of the Interstate Council of the Eurasian Economic Community and the Supreme Organ of the Customs Union at the Level of Heads of State. Their agenda included issues of fundamental importance for further integration of the EurAsEC member states. Addressing the meeting of the Supreme Organ of the Customs Union, Executive Secretary S.Y. Glazyev of the Customs Union Commission (CUS) will deliver a report on the course of work to implement a plan of action for the formation of the customs union within the framework of the organization. The Supreme Organ of the Customs Union at the level of heads of state will decide on the appointment of the Commission Chairman, and on the approval of its members, CUS rules of procedure and its 2010 budget. The Presidents of Belarus, Kazakhstan and Russia are due to sign a number of joint documents. Thus, conditions will be created for the customs union to start functioning, as of January 1, 2010, in the Commonwealth in the format of the trio of Belarus, Kazakhstan and Russia. Chaired by the Republic of Belarus, the Interstate Council meeting will consider implementation of joint measures to deal with the consequences of the world financial crisis in the Commonwealth member-states, the organization’s priorities and the invigoration of its activities in the border policy area, implementation of the plan of action to realize the concept of international activities, and results of the Fifth Festival of EurAsEC Cultures. In keeping with the existing practice of the organization’s work, it is due to approve the 2008 budget report and to accept the Interstate Council’s budget address and the Commonwealth’s draft budget for 2010. On the threshold of the 10th anniversary of the EurAsEC, the Commonwealth heads of state will approve a plan of undertakings devoted to the anniversary. Upon the invitation by President of the Russian Federation Dmitry Medvedev, President of the Republic of Azerbaijan I. Aliyev is visiting the Russian Federation on a brief working visit today. Medvedev and Aliyev attended a ceremony naming one of Ulyanovsk's squares after the father of the incumbent president of Azerbaijan, a prominent figure of the Soviet epoch and modern Azerbaijan, Geydar Aliyev. A monument to Geydar Aliyev was also opened. A meeting between the Presidents of Russia and Azerbaijan is scheduled, during which they are expected to discuss issues of bilateral relations and some international and regional matters, including the progress in the settlement of the Nagorny Karabakh problem. Further the details of which will be provided later. The Russian-German negotiations which took place in Moscow on November 20 in our opinion are helpful and effective especially for building the relationship with the new government of the Federal Republic of Germany. Guido Westerwelle, leader of the Free Democratic Party of Germany, visited Russia for the first time since occupying the post of Vice Chancellor and Foreign Minister of the Federal Republic of Germany. The new head of the Foreign Ministry of the Federal Republic of Germany met with the President of the Russian Federation. Traditionally the Russian-German dialogue has been held in a friendly atmosphere and businesslike manner. Medvedev highlighted the fact that Russian-Germany relations are mature and constructive, and that they gradually develop in all spheres of intense, variable and mutually-beneficial cooperation. The two countries are focusing on searching for collective answers to the challenges of the present time. Russia and Germany are both interested in forming a positive agenda for global and European politics as the world becomes more multipolar. The two countries are working intensely to look for common approaches on reforming the world financial and economic systems. Westerwelle stated that the new government of the Federal Republic of Germany is viewing cooperation with Russia as one of the priorities in its foreign policy. Berlin sticks to the idea of strategic partnership and is interested in an increase of the achieved high level of understanding and trust between the two counties. It’s not only about cooperation in economy and investments spheres, but all the wide range of the issues studied together, including cooperation in the international arena, cultural and humanitarian cooperation, developing scientific and educational youth exchange, deepening of the dialogue and connections in the sphere of civil societies. These and other aspects of the wide agenda of the Russian-German cooperation were discussed in greater detail at the meeting of Russian Foreign Minister Sergey Lavrov and his new German colleague. The ministers informed the media of the made decisions at a joint press conference. A transcription of the press conference and the Russian Foreign Ministry’s statement about the visit can be found on the web site of the Foreign Ministry. Let me repeat that the main result of the negotiations held in Moscow is confirmation of a commitment to a common course of action by Russia and Germany toward strategic partnership, widening of cooperation and spheres of mutual interest in the international arena, increase of cooperation in the spheres of economy, trade, cultural and humanitarian cooperation, scientific and educational youth exchange, the dialogue between civil societies, and communication. In connection with Westerwelle, I was asked if the Russian and German foreign ministers discussed the situation around the so-called Hobert case, in which a German court found B.T. Hobert guilty of involvement in a car accident in Moscow on November 30, 2008, that involved the death of Russian students A.G. Kamynin and A.V. Evteyev. Lavrov drew his German colleague’s attention to the case, expressing the view that the sentence handed down by the German court to Hobert, a former German embassy employee, was incommensurate with the graveness of the crime he had committed. In this connection, I confirm that the Russian party intends to employ every means possible in order to obtain justice. For this purpose, it will use the means of influence that can be accessed within the “legal field,” including an opportunity to appeal against the German court verdict. Along with that, it will support a civil lawsuit for damages submitted to the German court by the mother of the deceased Kamynin. Westerwelle expressed his understanding of the given range of issues raised by the Russian party and asked to convey his profound and sincere condolences to the families of the deceased citizens of Russia. Assurances were also received of the German party’s readiness to study the question of extending an offer of compensation. With account taken of the legal situation, the case in point is likely to be a humanitarian gesture emphasizing solidarity in connection with this heavy and irreparable loss. The Federal Republic of Germany’s Ambassador in Moscow, Dr. Walter Jürgen Schmid, will be provided with the necessary instructions. On our part, we are going to monitor the situation closely. Considering the opinion of the Prosecutor's Office, we will decide on the measures aimed at appealing the verdict of the German court. Earlier today talks finished in Moscow between Lavrov and Deputy Prime Minister and Minister of Foreign Affairs of the Republic of Malta, Dr. Tonio Borg, who visited Moscow on a working visit. The ministers discussed the status and prospects of cooperation between Malta and Russia on a wide range on bilateral issues and topical matters on the global agenda. The ministers of Russia and Malta gave their evaluations of the talks at a press conference, the transcript of which, along with a joint summary, will be available on the website of the Russian Foreign Ministry. During the working visit of Minister of Foreign Affairs of Byelorussia S. Martynov scheduled for November 25, a joint board session of the Foreign Ministries of Russia and Belarus will take place. Such joint boards are held on a regular basis, which reflects the high level of political interaction between our countries, based on our commitment to working out unified approaches to key issues of the global agenda. Diplomatic authorities of both countries place a strong emphasis on deepening integration processes in the post-Soviet space, first of all within the European-Asian Economic Union and CSTO. Now being given special attention is the promotion of establishment of the customs union between Belarus, Russia, and Kazakhstan. Martynov's working visit to Moscow and the joint session of the boards will undoubtedly contribute to further expansion of political cooperation between Russia and Belarus. This week, OSCE PA President Joao Soares and OSCE PA Secretary General R. Spencer Oliver arrived in Moscow to attend the 34th General Assembly of the Parliamentary Assembly of the Black Sea Economic Cooperation. Yesterday, Joao Soares had a meeting with State Duma Chairman Boris Gryzlov to talk on the results of the General Assmebly and the discussions that had taken place there. 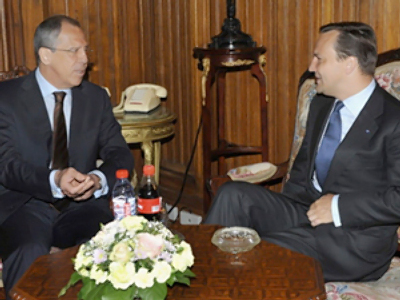 On November 23, leaders of the Parliamentary Assembly met with the Russian Minister of Foreign Affairs Sergey Lavrov. In the course of their conversation, some topical issues of OSCE activities were discussed, including the Organization’s contribution to improved European security architecture within the framework of the Corfu Process. The Russian party stressed the importance of conveying to the OSCE, including its parliamentary dimension, a more balanced character, and of enhancing its efficiency by way of transforming it into a full-blown interstate organization, the entire operation of which would be based on some clear-cut and collectively coordinated rules. Sergey Lavrov drew attention to the history falsification attempts that are dividing the European peoples, and to the inadmissibility of using them for this purpose at the rostrum of the OSCE – an organization designed to promote mutual understanding and cooperation. An exchange of views took place on the course of preparations for the forthcoming meeting of the OSCE Ministerial Council (Athens, December 1-2). On December 1-2, the 17th session of the Council of Foreign Ministers of OSCE will take place in Athens, attended by Sergey Lavrov. In the agenda of the upcoming session of the Council of Ministers – which is the central directive authority of the OSCE and convenes annually for political consultations – Russia, along with its partners, has included a number of resolutions on key matters that define the work of the Organization and its executive units for the near future. A joint statement of CSTO member states was prepared for the meeting in support of President Dmitry Medvedev's initiative to work out the European Security Treaty. Russia, jointly with the US, proposed a project of CFM resolution on the role of OSCE in combating cross-border threats to security and stability. We believe the OSCE can be a platform to lay down joint approaches to matters of crisis settlement. To that effect, Russia proposed that the CFM in Athens work out unified principles for conflict regulation and settlement. Acceptance of such principles would prevent the recurrence of situations like the Georgian aggression against South Ossetia in August 2008. In the area of military and political security, Russia advocates the beginning of modernization of the 1999 Vienna document on measures of trust. For the Council of Foreign ministers in Athens, Russia and Belarus jointly proposed a corresponding solution to that effect. Hopefully, it will be supported by other delegations. We are for strengthening OSCE potential in combating illegal circulation of drugs and precursors. Along with a number of partners, we offered the CFM in Athens a project of a resolution that is a sort of a roadmap of a reform based on the 2005 report by the Group of Wise Men on matters of increasing OSCE efficiency. Still on the negotiations table are our initiatives regarding the formulation of the OSCE Charter, basic principles of election monitoring, and others. We hope they will be supported by our partners. In 2010, the OSCE chairmanship will pass over to Kazakhstan, who was the collective candidate for that position from CIS states. Kazakhstan's chairmanship will cover such memorable dates as the 35th anniversary of the Helsinki Final Act, the 20th anniversary of the Paris Charter for the New Europe, and the Copenhagen document on the human dimension. We support Kazakhstan's initiative to hold an OSCE summit in 2010. We have also upheld Kazakhstan's proposition regarding the transport theme of the OSCE Economic Forum and the idea of gathering a summit conference on matters of tolerance. For the CFM in Athens, Russia, jointly with Armenia, Belarus, Kazakhstan, Kyrgyzstan, and Tajikistan, proposed a project of a resolution on the freedom of traveling, aimed at loosening visa regimes on the OSCE territory. Jointly with CSTO countries, we proposed a ministerial declaration on the 65th anniversary of the end of World War II. It is aimed at preserving the memory of the fallen and stopping attempts to falsify history. On the margins of the OSCE CFM in Athens, Sergey Lavrov is scheduled to meet OSCE leaders and heads of national delegations. On December 4, a meeting will take place in Brussels of the Russia-NATO Council (RNC) at the level of ministers of foreign affairs, the main political mechanism for coordinating interaction between Russia and the Alliance. We attach much importance to the forthcoming meeting in the RNC format, one designed to discuss problems in relations with the Alliance, as well as ways of reviving cooperation in the interests of strengthening stability and predictability of the military-political situation in the Euro-Atlantic space. As is common knowledge, NATO activities are an important factor influencing security near our borders. The December 4 RNC meeting will consider some practical matters related to a revival and further development of cooperation within the RNC framework, including military cooperation. We are committed to developing those interaction spheres, where Russia and NATO have objectively coinciding interests, and where cooperation can yield real “value added.” The case in point is improving European security architecture; strengthening confidence-building; fighting terrorism, proliferation of MDW and delivery vehicles, as well as piracy; reacting to natural and ‘technogenic’ disasters; cooperating on Afghanistan; practicing search and rescue sea operations; and protecting critical infrastructure. On the whole, the nature of our cooperation with the Alliance will be determined by the vector of NATO’s own further evolution, and by our partners’ readiness to take into account in practice Russia’s security interests and concerns and to implement the Rome Declaration’s principles of indivisibility of security and joint RNC work on the equitable basis. On November 23, a meeting of the Interagency Commission of the Russian Federation for Interaction with NATO was held under the chairmanship of Russian Foreign Minister of Foreign Affairs S.V. Lavrov. Attended by representatives of the Russian ministries and agencies concerned, the meeting discussed the further development of political dialogue and practical cooperation within Russia-NATO Council (RNC) on the basis of principles coordinated in the process of its establishment. The results of a detailed discussion that took place will be used in the process of preparations for the RNC ministerial meeting in December of this year and will be generalized for a report to the President of the Russian Federation. On November 23, the 183rd session of the UN Executive Board on the issues of education, science and culture (UNESCO) took place in Paris. E.V. Mitrofaniva Permanent Representative of Russia in UNESCO was elected the highest elective post Chairman of UNESCO Executive Board. The election of Permanent Representative of Russia in UNESCO for such a high post means that Russia’s commitment into international cultural and humanitarian cooperation as well as Russia’s commitment in UNESCO activity is recognized by the international community. I was asked to comment on the election to the posts of President of the European Council and High Representative of the European Union on foreign affairs and security policy. First of all, we welcome ratification and further coming into force of the Treaty of Lisbon. We are objectively interested in a strong and effective European Union that is able to promote our strategic partnership. We are hopeful that the election of Herman van Rompay and Catherine Ashton to the new posts will be positive for development of our cooperation. We know Herman van Rompay as a skillful politician, who managed to achieve many goals during his work as Belgium’s Prime Minister. Russian negotiators have cooperated with Catherine Ashton as an EU Commissioner on the issues of foreign trade in the format of Russia-EU negotiations for a long time already. They always highly evaluated the results of joint efforts. We wish them success at their new posts. I would like to draw your attention to the fact that on December 1 and 2 Moscow will host the World Congress of compatriots living abroad. - Confirm the commitment of the leadership of the Russian Federation to comprehensive support of Russian compatriots living abroad and to define the most efficient and desired forms of such support. – Give extra impetus to the activity of Russian communities abroad and of the Russian ethnic and cultural space in foreign countries, and to define key needs in the support of such activity. - Encourage the consolidation of the Russian community abroad and enhance its image in countries of residence of Russian compatriots. The Congress will be attended by approximately 1000 people, including over 500 delegates from 90 countries. Please keep in mind that more information on the Congress is available in the transcript of a briefing given on November 19 by A. Chepurin, Head of the Department for Compatriots. On November 20, Brussels hosted a regular meeting of the political directors of the Six on the Iranian nuclear program. Russia was represented by Deputy Minister of Foreign Affairs S.A. Ryabkov. The meeting considered the development of the situation in connection with the Iranian nuclear program, as well as issues related to the preparations for the session of the IAEA Board of Governors scheduled to be held in Vienna on November 26-27. I ask everybody to wait for the results of the meeting before making any conclusions. The Wall Street Journal asked me if Russia is ready to start discussing special sanctions regarding Iran’s refusal to move the nuclear fuel to Russia. I guess the question is about transportation of the low enriched uranium produced by Iran in exchange to fuel for the Tehran Nuclear Research Reactor. The situation is as follows. Tehran has made a request for delivery of fuel. It is absolutely legitimate. Dr. Mohamed ElBaradei Director General of the International Atomic Energy Agency suggested a plan, according to which the low enriched uranium produced by Iran, which at present has no way of being applicated in the country, would be brought to another country to be enriched to produce fuel for the Tehran Nuclear Research Reactor. We support this plan. We think that its successful realization would be a significant step towards restoring trust in an absolutely peaceful Iranian nuclear program, confirmation of Tehran’s readiness for cooperation, and it would enable to create an indispensable atmosphere of trust for the beginning of a substantial dialogue to regulate the whole set of issues on the Iranian. The IAEA has not yet received an official final answer on this issue from Tehran. On November 20, Mohamed ElBaradei said that he hopes that Iran will give a positive answer to his suggestion by the end of this year. On our part we count on an early positive response from Tehran. Thus, there is no such issue as applying any sort of special sanctions against Iran or not. I was asked about how Foreign Ministry of Russia can comment on the Palestinians’ intention to obtain from the UN Security Council a resolution confirming the “two states for two peoples” principle and recognition of the 1967 border as the basis for a territorial settlement with Israel? What are estimates of prospects for international recognition of the Palestinian state? Let me note that the two states principle was fixed by Security Council Resolution 1397 approved in 2002. It became a component part of the generally recognized international legal base for settlement in the Middle East, whereupon Russia and the Middle East Quartet of international intermediaries are active. If the case in point are certain Palestinian representatives’ pronouncements about there being an intention to proclaim an independent Palestinian state within the 1967 borders, no official steps have been taken in this context so far. On a fundamental note, I would like to remind you that Russia recognized the proclamation of the Palestinian state as early as 1988. The Embassy of the State of Palestine operates in Moscow. On this note, we have no questions arising before us. We have also repeatedly confirmed our support for the establishment of an independent, viable and sovereign Palestinian state within the 1967 borders, given territorial exchanges coordinated between the parties. The optimal method in this sense is, of course, dialogue and negotiations, as well as a search for mutually acceptable solutions that will be approved and thus guaranteed by the international community. We are attentively following the fate of a Russian citizen who has fallen victim to the Georgian intelligence agency. According to the Section of Russia’s interests in Tbilisi, the municipal court of the city of Tbilisi found him “guilty of the illegal purchase of and carrying a gun” and sentenced him to five years in prison. The Georgian court of justice, as expected, turned a blind eye to the falsified case, the details of which I have already described at one of the previous briefings. The court proceedings have been carried out in a formal way from the very beginning. Petitions and protests of the defense were declined without explaining the reasons. Only officers of the Ministry of Interior Affairs of Georgia who had participated in Pavel Bliadze’s detention and allegedly found a gun with him were invited as witnesses. It is absolutely clear that the court was fulfilling an order from high-rank officials to get revenge on our citizen who did not wish to help Georgian intelligence agencies who are disseminating false information about Russia. Bliadze’s lawyer is planning to file an appeal for the verdict. On our part, we once again address the Georgian authorities demanding to stop the cynical outrage against our citizens. I am sure that this and other analogous situations should not be ignored by the international community and human rights organizations – also by the Organization of the Georgian Diaspora in Russia. The Russian National Exhibition was held on November 18-21 of this year at Chicago’s McCormick Place exhibition center. Its organizer was the Ministry of Industry and Trade of Russia (Organizing Committee Chairman I.S. Materov, MIT Deputy Minister), and its operator was OOO Intellektualnye resursy (Intellectual Resources, Ltd.). The undertaking was organized with support from the Chicago City Hall and Mayor Richard M. Daley, and with the participation of the American Chamber of Commerce in Russia, Chicago Chamber of Commerce and Industry, American-Russian Business Council, Department of Commerce and Economic Opportunity of the State of Illinois, and Mid-Atlantic – Russia Business Council. The exhibition was devoted to the 200th anniversary of Russian-US relations and their “resetting.” The undertaking is designed to become yet another step on the road to greater interaction. Its aim is to assist the further strengthening of bilateral trade-and-economic ties, the expansion of the existing and development of new lines in cooperation in power generation, machine-building, iron-and-steel industry, farming, health and tourism. Special attention was paid to education. Q: A.Bastrykin Head of the Investigating committee reproached the Foreign Ministry for a lack of activity in international courts regarding cases on the Caucasus conflict of 2008 in his speech at the Duma’s committee for legal proceedings and cases. Please, comment on this statement. A: Of course we have read the speech of A.Bastrykin Head of the Investigating committee. The question was about very sophisticated legal matters. To speak in detail, but briefly, we have to deal with three judicial authorities. First of all we can speak about the European Court of Human Rights, where the Ossetian citizens filed their complaints. In August 2008, due to a Georgian authority’s address asking for temporary measures to be taken according to Rule 39 of Rules of proceedings of the European Court of Human Rights to provide execution by the Russian authorities of obligations, set in the European Convention on Human Rights and Fundamental Freedoms, and particularly articles 2 and 3, the European Court on Human Rights made a decision to apply temporary provisional measures to both Russia and Georgia and requested information from governments of both states on the taken measures aimed at providing observation of the Convention’s provisions. The Russian party provided the requested information. 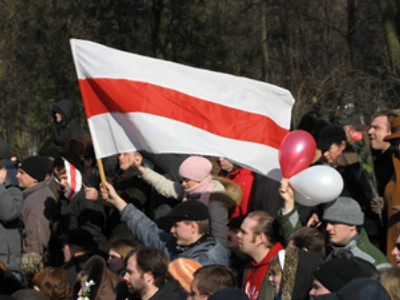 On February 11, 2009, the text of the official interstate complaint from the Georgian authorities addressed to Russia regarding events in the Republic of South Ossetia in August 2008 came to Russia from the European Court of Human Rights. The administration of the Representative of the Russian Federation in the European Court of Human Rights – deputy of Minister of Justice of the Russian Federation started to prepare written comments on the above mentioned complaints and to a possible participation in hearings. By the present moment the above mentioned comments are sent to the European Court with attached materials of the corresponding criminal cases, initiated by the Russian investigators upon the facts of crimes by Georgian military against the people of South Ossetia. Yesterday Mr. Bastrykin dwelled upon the issue of the International Criminal Court viewing the complaints of the people of South Ossetia. In August 2008, after the first results appeared from the investigation by the Investigating Committee in the Russian Federation’s Prosecutor’s office of the crimes by their Georgian counterparts during the conflict, the South Ossetian victims’ complaints were passed on to the International Criminal Court through the Russian Embassy in The Hague. All in all, by the end of September, about 5,500 files have been sent to the ICC. Among them about three thousand were passed on through the Embassy (others were sent directly by the victims or via their lawyers). On August 28, 2008, the secretariat of the ICC addressed the Russian Embassy in The Hague, requesting the information on the circumstances and consequences of the August events, including information on the criminal investigation performed by the Russian counterpart. The Russian Federation agencies passed the information to the ICC in October 2009. At present the case is at the first stage – the ICC prosecuting office is studying the information from the people of South Ossetia provided by the Russian counterpart. Due to the ICC practice, the preliminary analysis of the South Ossetian materials may last for years. The Russian counterpart through the Embassy in The Hague keeps in contact with the secretariat of the ICC, keeping under control the investigation and reacting promptly to any changes in the situation. And the last thing about the lawsuit by Georgia against Russia in the International Court of the UN. On August 12, 2008, Georgia addressed the International Court of the UN in The Hague asking to initiate a case against Russia. The suit was based on the International Convention of liquidation of any form of race discrimination of 1965. The case talks about alleged violations of the Convention by Russia “on Georgian territory and around it”. The Convention calls for obligatory jurisdiction of the ICC, in other words, the investigation against usual rules does not require the consent of the respondent state. On September 8-10, 2008, the preliminary hearings were performed at the ICC on assigning “preliminary measures”. The Russian delegation rejected Georgian accusations, clearly stated that the responsibility for the crisis is on Tbilisi who had unleashed the war. The “preliminary objections” against the jurisdiction of the Russian Court are to be filed by December 2, 2009. On the whole the material is ready. Our main arguments are: absence of argument on the Convention on Race discrimination for the time of filing the suit; and unexhausted ways of pre-court settling of the situation according to the Convention. Georgia will have three months to formulate objections to the Russian arguments. After that, the Court will set the date of the new hearings. The situation is under control of both the Foreign Ministry of the Russian Federation and the Ministry of Justice of the Russian Federation. This is a sophisticated legal matter, and I appeal to be very careful with it. Q: Will the North Korea visit by Federation Council Chairman Sergey Mironov help solve problems related to that country’s nuclear program? A: The official visit to the DPRK by Chairman of the Federation Council of the Federal Assembly of Russia S.M. Mironov was paid within the framework of the regular contacts between the supreme legislative bodies of both countries. Where a solution to the problem you mentioned is concerned, I would answer as follows. The legislators, of course, have the right to discuss any issues. But it is necessary to accept decisions on this kind of problems within the appropriate negotiating format. It is possibly for this reason that the Korean Peninsula denuclearization theme will be taken up in Pyongyang; where the parties will exchange views. Where solving this problem is concerned, I think it will be handled by politicians and participants within the negotiating formats I mentioned. Q: How can the Foreign Ministry comment on the situation with Russian gas deliveries to Europe and numerous statements by some foreign political figures about possible problems with its transit to European countries? A: The Russian party has done everything possible to ensure uninterrupted supplies of gas to European countries in compliance with its contractual obligations. That has been repeated more than once by President Medvedev and Prime Minister Putin. In this respect, we see no reasons for any problems to emerge, speaking of supplies of gas in the required volumes. As for gas transit through Ukraine, as you know, after the meeting of the Prime Ministers of both states on November 19 in Yalta, the Ukrainian part stated that it will “precisely and carefully fulfill its functions regarding the transit of Russian gas.” We welcome such a responsible position of Prime Minister Yulia Timoshenko. I would like to add that in 2009, Russia and the EU has done a lot to ensure uninterrupted gas transit. On November 16, 2009, the parties signed in Moscow the Memorandum on Early Warning Mechanisms in the energy sphere within the Russia-EU Energy Dialogue. This document provides certain instruments to prevent crisis situations in fuel supplies. By the way, this document was highly appreciated at the Stockholm Summit that I mentioned not long before. On the whole, we think that responsible positions of all the parties involved and their due fulfillment of assumed responsibilities will ensure reliable and uninterrupted delivery of Russian gas to European states. We are also in contact with our European partners who receive Russian gas. We do our best to keep them informed on the progress of our relations with other countries related to transit and consumption of Russia's gas. There is complete understanding among us on these matters. Q: How can the Foreign Ministry comment the information on the Geneva traffic accident involving Russian citizens? A: As soon as the first media reports appeared of that sad accident, the Russian Consulate General in Geneva immediately filed an official inquiry to local law enforcement agencies, requesting information on the matter. Preliminary information available to us at the moment is quite scarce, considering the secrecy of the investigation currently carried out by Swiss authorities. In focus of the matter are four Russian citizens who, according to information provided to us by Swiss authorities, have been released on bail. The Consulate General keeps track of the situation and is in close contact with our Swiss colleagues, who are investigating into what happened. The names of the people involved have not been disclosed so far. Q: Today, Japan has ratified the final iteration of a document that says about illegal occupation of South Kuril Islands. How would you comment this? A: Moscow has paid serious attention to this step taken by the Government of Japan. At the moment, the Ministry of Foreign Affairs is preparing an adequate commentary by the Department of Information and Press, which will be made available on our website. Q: Kosovo held municipal elections, but the Serb population was unable to take part. How legitimate, in your view, are those elections, and do you share the view that their results should be made null and void? A: We believe that the municipal elections in Kosovo have only confirmed the untenability of this self-proclaimed entity. That the November 15 elections were a failure is evident from the low Serb turnout. In Northern Kosovo, where there are compact Serb communities, the case in point is an actual electoral boycott; in the Central and Southern enclaves, the real turnout is also low. We regard it as proof of non-Albanian residents' rejection of the Kosovo settlement scheme that has been enforced on them on the base of unilaterally-proclaimed independence. Q: There are media reports saying that START agreements are likely to be signed in one of European countries on December 4. Are these reports true, and where precisely might the signing take place? A: As of today, the Russian-American negotiations on a new START Treaty are not yet over, even though, as estimated by the parties, they did enter the final leg. The eighth and, hopefully, final round of the talks is in progress in Geneva. As is clear, both parties’ attention and efforts are maximally concentrated on the substance of the negotiating process, on the search for mutually acceptable compromises, and the endeavor to arrive at definitive formulations. It is this that is of utmost importance now. Where the essential, if less important, organizational matters are concerned, a number of different solutions are being studied. All of that will be coordinated with the results yielded by the negotiation taken into account. Q: Can the Foreign Ministry comment on the statement by the ex-Minister of Defense of Moldova on V.Voronin organizing arms shipments to Chechen militants? A: I did not see this statement in detail. I just heard something about it. We will have to study these statements. Only after that we will be able to draw conclusions. Q: Please, comment on the meeting between Presidents of Armenia and Azerbaijan. Answer: We support such contacts and hope that they will lead to significant results. Q: Can you comment on the information that Iran may go to court in case in Russia does not fulfill its obligations to ship S-300 to Tehran? A: We have commented on this question at the previous briefing. I will repeat that we strictly observe the international rules and do not violate them. I cannot add anything to the previous comment, because it was reported in detail.